This genus is accepted, and its native range is Thailand, Jawa, N. & Central Australia. Annual (1), or perennial (2). 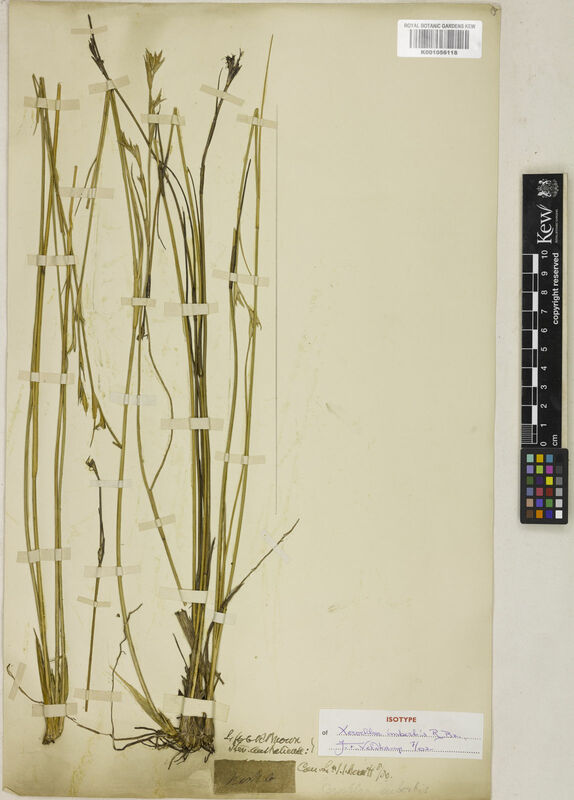 Rhizomes absent (2), or short (1). 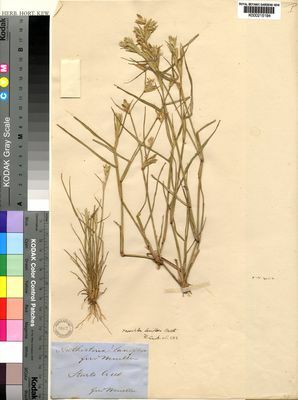 Stolons absent (2), or present (1). 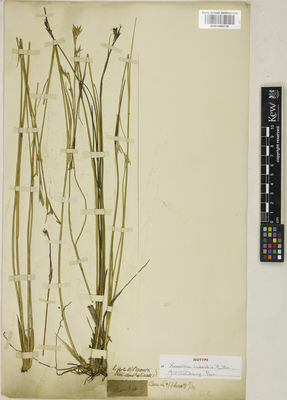 Culms erect (1), or geniculately ascending, or decumbent (2); 15-36.66-75 cm long. Ligule a fringe of hairs. Leaf-blades persistent (2), or deciduous at the ligule (1); filiform (2), or linear. Synflorescence compound; linear. Inflorescence composed of racemes; terminal and axillary; deciduous as a whole; subtended by a spatheole; embraced at base by subtending leaf (1), or enclosed (2). Spatheole elliptic (2), or oblong (1); chartaceous (1), or scarious (2). Racemes single; unilateral; bearing few fertile spikelets; bearing 1-5 fertile spikelets on each (1). Rhachis flattened (1), or angular (2); terminating in a barren extension; extension flattened (1), or subulate (2). Spikelet packing abaxial (1/1). Spikelets sunken (1/2), or appressed (1/2); solitary. Fertile spikelets sessile. Spikelets comprising 1 basal sterile florets; 1 fertile florets; without rhachilla extension. Spikelets lanceolate (2), or ovate (1); dorsally compressed; 5.5-7.966-12 mm long; falling entire; deciduous with accessory branch structures. Spikelet callus glabrous (1/1). Floret callus pilose (1/1). Glumes shorter than spikelet; thinner than fertile lemma. Lower glume linear (1), or oblong (1), or ovate (2); hyaline (2), or membranous; without keels; 0-1 -veined (2). Lower glume lateral veins absent. Lower glume surface glabrous (2), or woolly (1). Lower glume apex truncate (2), or acute, or acuminate (1). Upper glume lanceolate, or oblong (1); membranous (1), or chartaceous (1), or scarious (1); with undifferentiated margins (2), or membranous margins (1); without keels; 2-4 -veined (1), or 5 -veined (2). Upper glume surface glabrous (2), or villous (1), or woolly (1). Upper glume apex truncate (1), or acute. Basal sterile florets male; with palea. Lemma of lower sterile floret lanceolate (2), or oblong (1), or obovate (1); chartaceous (2), or cartilaginous (1); 3-4 -veined (1), or 5 -veined (2), or 6 -veined (1), or 7 -veined (2); sulcate; obtuse (2), or acute (2), or acuminate (1). Palea of lower sterile floret membranous. Fertile lemma lanceolate (1), or ovate (2); cartilaginous; without keel; 3 -veined (2/2). Lemma lateral veins obscure (1/1). 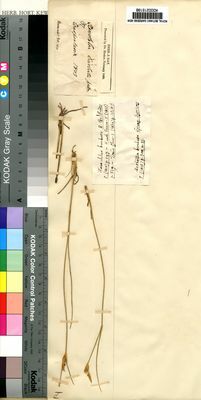 Lemma apex acuminate (1), or caudate (2). Palea not rolled (2), or tightly convolute around flower (1); 1 length of lemma; cartilaginous; 2 -veined (2/2); without keels (1), or 2-keeled (2).